If your home or business has experienced any type of water damage you need to check for the growth of mold. Mold can be a serious issue, it has been linked to numerous health problems. Allowing mold to fester and grow can have a serious negative impact on your property, your air quality, and your health. You can easily spot most types of water damage, but only a certified mold inspector is able to thoroughly examine an area for mold, as it can fester in hard to reach and see areas. If you are in need of mold remediation and removal in Port Charlotte, Call Wetherington Restoration and Remodeling. We will examine your property for mold growth and will deliver immediate action to give you the peace of mind you need after experiencing any kind of disaster. We service Port Charlotte, Punta Gorda, North Port and surrounding areas. HAVE YOU ALREADY FOUND MOLD ON YOUR PROPERTY? It is extremely important if you find mold on your property to have it immediately inspected by a certified inspector. Mold can grow in many places that are not immediately visible, such as within walls, under the floors, and in cramped dark areas. Mold is often left to grow for months, until the homeowner notices it. 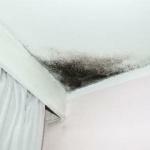 Mold can even start growing near a water damaged area within just a day. We are experts when it comes to mold remediation, our team takes great pride in the thoroughness of detecting any type of mold problem. Our mold specialists will ensure that all of the mold growth is removed from your property. We service all types of properties from residential homes, local businesses, large hotels and apartment complexes. We can perform a mold remediation on any size structure, our staff has the tools, trucks, manpower, and latest equipment to handle any job size. We have helped dozens of business owners and homeowners throughout the Charlotte County area to become 100% mold free! We are dedicated to providing all of our clients with prompt, reliable, and honest services. Call now for a Fast Free Estimate, we are open 24 hours a day, 7 days a week.